A recent Associated Press article by Ricardo Alonso-Zaldivar outlined a number of problems with the Affordable Care Act (ACA) that “are leading some to wonder whether “Obamacare” will go down as a failed experiment.” Paradoxically, news that Obamacare is in crisis should be encouraging for anyone who understands the economics of health care. Until people heavily invested in defending it against unfair attacks see that it won’t work, they won’t understand the need to demand a health care system that will. While it’s a shame that the number of uninsured will rise before the problem can be fixed, that is the inevitable cost of dismissing the only real solution to rising health care costs and decreasing access: a single payer system. Robert Reich recently argued this, but he missed the main point. He was right that Obamacare has led to decreased competition as insurance companies consolidated and took over state markets, but this is not what will kill it. The real reason was evident before the debate on health insurance reform began. It’s called the “death spiral” of health care costs. The death spiral is simple to explain. The more health care costs rise, the fewer people can afford it. This leads insurers to increase premiums and deductibles in order to maintain profits, leading in turn to fewer people buying insurance, and the cycle repeats. A 2005 study published in American Family Physician projected that the average individual would pay 100% of her income for health care at then-current rates of inflation! This trend started before Obamacare. It was built into the system. It is the reason 45 million Americans were underinsured in 2008. It was the inescapable consequence of a system of private insurance. Of course, no one will pay all of their income for medical insurance. Very few would pay half of that. However, that’s exactly what the AFP study predicted that would have been the average cost in 2015. That hasn’t happened, but it isn’t because Obamacare has decreased the rate of health care cost inflation. The relative stability of health care costs over the last few years started before ACA’s main provisions took effect, and the rate of inflation has picked up again, worse than before. ACA manages to mask some of the astronomical cost of medical insurance by providing billions of tax dollars to prevent large premium subsidies for a significant segment of the market. According to the AP article cited above, over 80% of Healthcare.gov customers get subsidies of about 70% of their premiums. That’s tax money going straight into private pockets for a “service” that adds nothing of value to the provision of health care. Obamacare was, more than anything else, a bailout of a failing Wall-Street owned medical insurance industry. The question is, at what point are Americans going to catch on and realize that pouring all that money into the system just to maintain shareholder profits is a fool’s game? 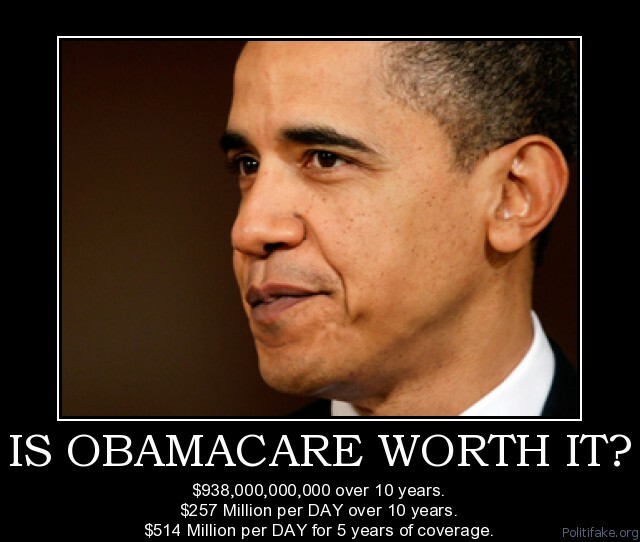 Obamacare only delays the day of reckoning for a system that is pricing itself out of existence. If the ACA had not passed, it would be on the verge of collapse now. As it is, insurers are dropping out of exchanges due to unanticipated costs of meeting the standards of ACA that are hurting the bottom line, despite large rate increases as the major provisions of Obamacare kicked in. Rates for individual insurance outside the plan continue to rise by double digits. It’s so bad that the largest provider in Tennessee is requesting increases averaging 62%. In part because of uncontrolled costs, the ACA has also left 29 million uninsured. According to the Congressional Budget Office, that number is not expected to change much even if states currently resisting Medicaid expansion join the program. There are many other major problems with Obamacare, almost all of which arise from the fact that it is insurance-based. For instance, subsidies still leave a 40 year old man earning $25,000 per year liable for up to $5000 in copays and deductibles. Such costs deter many from seeking needed care. Those trying to minimize premiums, especially young, healthy adults, often opt for high-deductible plans that could leave them responsible for the first $10,000 in bills and a share of anything over that. In case of catastrophic illness or injury, almost anyone can end up bankrupt. Medical expenses are estimated to be the cause of 60% of bankruptcies. Single payer health insurance thus amounts to bankruptcy insurance as well. That is just one of many benefits of such systems, in addition to the fact that they can provide universal health care at a fraction of the cost of our current non-system. It’s time to face the facts. Obamacare may have been the best that Democrats could produce, but it is not even close to a solution to the problem of rising costs and declining access to health care. There is no excuse for claiming that single payer is not possible, as Clinton has. To say this is an admission that it is impossible to address the corrupting influence of money in politics. That is not acceptable in a nation that claims to be a democracy. The vast majority of Democrats favor single payer. It’s time they stand up and demand it. Waiting until a Congress awash in Wall Street money to do it on its own is never going to work. We can wait for the system to collapse of its own dead weight, or we can work to make our members of Congress force a real debate on health care reform.